This is not possible when crucial (and sometimes illegal) government policies remain hidden from the public. 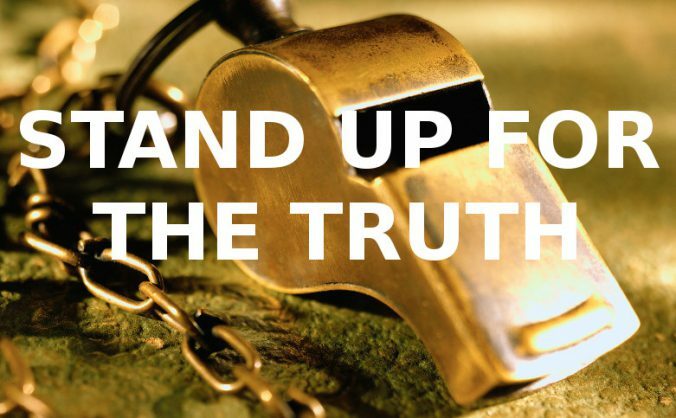 Whistleblowing is essential for bringing such policies into the light: exposing key information related to human rights violations, corporate malfeasance, the environment, civil liberties and war. 1 June 2015 | 18:30 to 21:00 | Room B35, Malet Street London WC1E 7HX. Speakers: Eileen Chubb, Daniel Ellsberg, Thomas Drake, Jesselyn Radack, Coleen Rowley, Norman Solomon & Justin Schlosberg. We must stand up for a free press, individual privacy, governmental and corporate transparency, due process and rule of law as we seek to reveal official information that the public has a right to know. The London leg of the international Stand Up for Truth whistleblowers speaking tour is being co-organised by the Media Reform Coalition and the Campaign for Press & Broadcasting Freedom, supported by the NUJ, Whistleblowing International Network, Public Concern at Work and the Open Rights Group.